It seems that Google has added a new “iPhone Apps” category to their mobile search. When searching for something in Google, using Safari on your device, you are now able to select an iPhone Apps option in the More drop down menu. 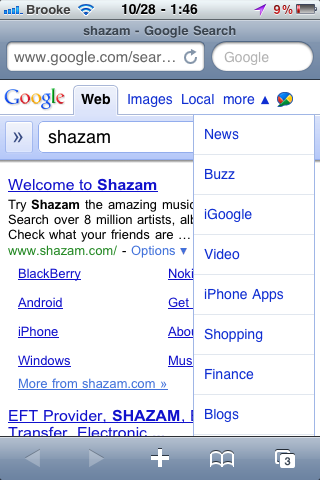 When you select the iPhone Apps option, it displays a list of iPhone apps relevant to your Google search. 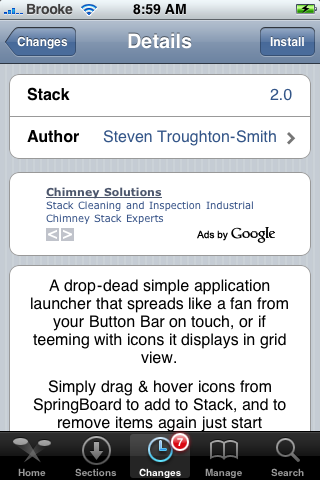 The icon, price, star rating, number of reviews, and short description are displayed for each app result. If you select one of the apps, it brings you directly to that application in the App Store on your device. Pretty cool. Check out the screenshots below. 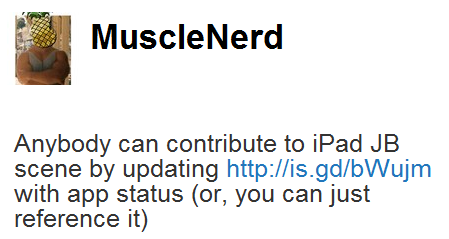 MuscleNerd recently tweeted that there is an official iPad Jailbreak Compatibility List and that anyone can contribute to the list. It is a basically a Google spreadsheet of jailbroken apps and whether or not they are working, working with problems or unusable on the iPad. There is also a place for the tester to add notes and comments about how the app is running. 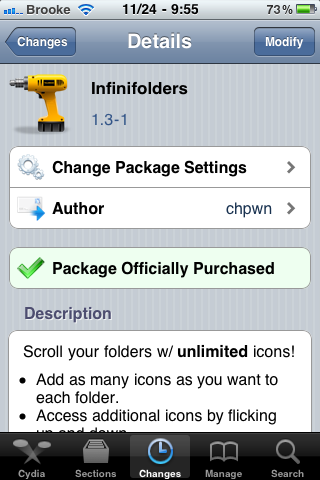 A great resource for those with jailbroke iPads. Be sure to read the instructions if you decide to contribute to the list. You can find the iPad Jailbreak Compatibility List HERE. EAMobile App Sale Ends Today! For those of you who did not know, EAMobile is having a sale on some of it’s most popular titles however, the sale ends today. Some of the apps on sale include Spore ($0.99), Scrabble ($2.99), Monopoly ($2.99), Life ($1.99), Madden NFL 10 ($4.99), American Idol ($0.99), Snood ($0.99), Battleship ($1.99)… and more. For a full list of the apps on sale, check out their website. 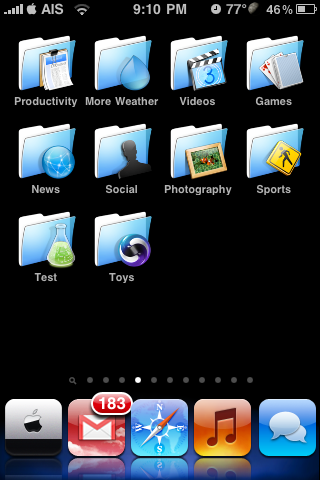 Genius Recommendations for Applications is a new feature of the 3.1 firmware. This feature makes recommendations for new apps based on the apps you already own. It will give you a list of recommended apps and why they have recommended them. Doug sent me this article a few days ago and I thought it was very interesting. However, I forgot to pass it along! Some of you may have already read about this but, for those of you who haven’t…here you go. Below are a few application that are one sale…some for only a limited time so make sure if they sound like something you would like that you download them soon! All of the application below are free and like usual I went through all the ones that were on sale and found the best of them.